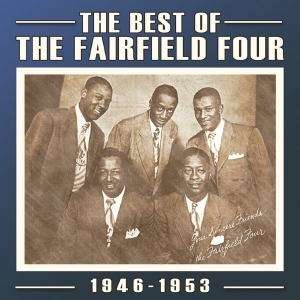 The Fairfield Four are perhaps one of the six most significant jubilee quartets to come to prominence in the Southlands during the 1940s, although their genesis lies way back in the ‘20s when three of the original line-up sang together in a church choir in Nashville. Coming to prominence through radio exposure, the group became national celebrities, their exaggerated emotional style appealing to a broad audience, and enabling them to tour extensively, leading inevitably to a recording contract. This collection presents selected tracks from their singles released from the start of their recording career in 1946 through to 1954, when there was a significant change in the group’s line-up with the departure of Rev Sam McCrary. It is a fine showcase for their distinctive style, and represents some of the best and most popular gospel music of that era, which was a heyday for the genre, as with other groups the gospel quartets paved the way for the doowop boom of the ‘50s.